Fixed term until 31st August 2019. Wild Discovery is growing and developing zoo and we are looking for a confident, enthusiastic and passionate experienced keeper of small animals to join the team. The role will involve all aspects of animal keeper duties, working with a variety of small animals, with the highest standard of welfare and husbandry expected. The successful candidate will have at least 2 years experience of working in a zoo environment caring for a wide range of small animals and the ability to deliver talks and activities to all visitors, adjusting to specific audience needs. Applicants must be flexible and able to work as part of team and alone using their own initiative as well as being friendly and approachable. This is a casual, part time position working 2 – 5 days per week, depending on business needs, covering both weekdays and weekends, and in some cases evening hours, therefore flexibility is essential. The contract is fixed until 31st August 2019. Delivering high levels of welfare and husbandry for all animals in the collection. Building and creating enrichment activities. Delivering educational talks and activities to visitors through our daily talk schedule. Delivering animal encounters, zoo keeper experiences and hosting birthday parties. Supporting the Education Officer with the delivery of educational workshops to school and group visits. Please downloand the job description and person specification before applying. 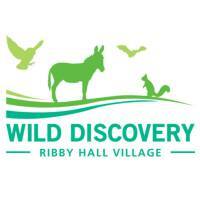 All enquiries please email Neil Trickett at info@wilddiscovery.co.uk. Applicants must email a CV and covering letter by 9am on Monday 15th April. Interviews will take place on Friday 19th April. Start date for this position is Friday 3rd May 2019.